1) Highly reflective and emittance qualities that increase energy savings that helps reduce a roof system’s total life-cycle cost and conserves limited resources. 2) PVC membranes have a low carbon footprint compared to other products like TPO or EPDM. A typical PVC may have only 44% carbon versus the common standard which is almost 100% for TPO or EPDM. 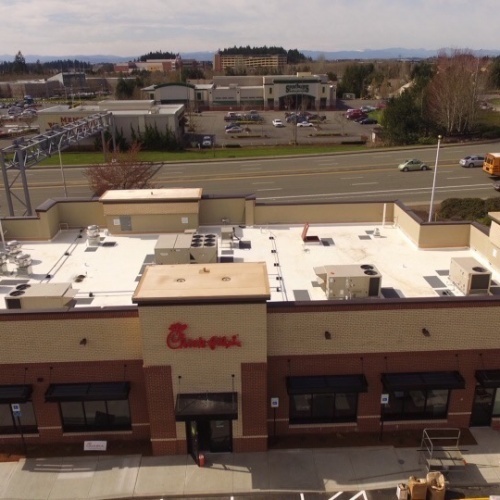 3) Because of the prefabrication process and the PVC membrane’s flexibility ease of welding, some PVC membranes are custom prefabricated specifically to each roofing job. 4) PVC is a completely recyclable material, so almost no fabrication scrap goes to landfills, and post-consumer membranes can be re-utilized. 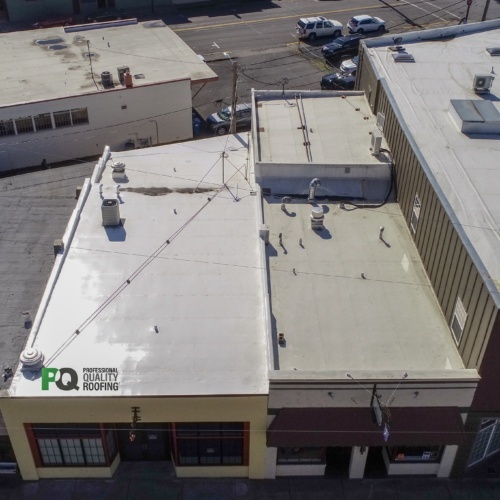 5) Strict quality assurance procedures are followed during manufacturing, and so the PVC roofing system performance is enhanced, minimizing maintenance issues and maximizing performance. 6) Inclusive of a chlorine component, PVC roofing membranes are inherently fire resistant, making it much easier to achieve Class ‘A’ fire ratings with PVCs than with other roofing systems. 8) Supporting vegetative systems, the PVC roofing supports durability and waterproofing characteristics; And vegetative roofing reduces a building’s overall energy consumption and water runoff. 9) Some PVC roofing systems boasting over 30 years of proven quality. This long-lasting, tested system increases the life of your roof and reduces total life cycle costs. 10) With a rock solid warranty, this helps reduce roofing life-cycle costs and gives you peace of mind. "We are very pleased with our new Durolast roof! 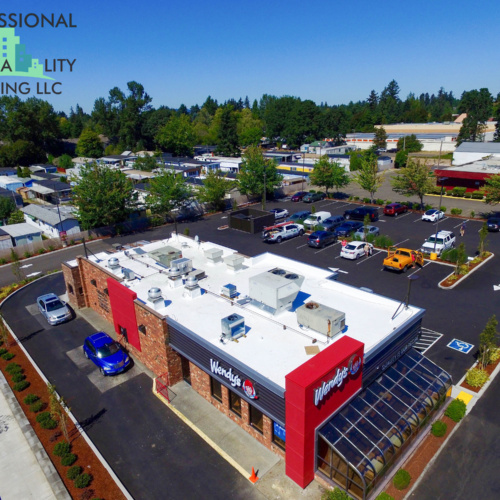 Pro Quality did an exceptional job and conducted themselves in a professional, efficient manner completing the project on time with no change orders. Columbia County certainly hopes to do business with this team again." 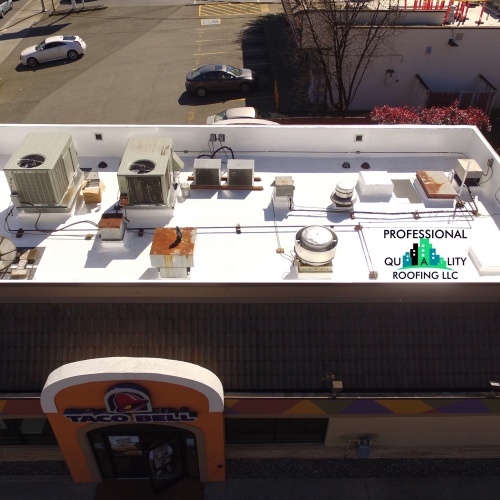 Copyright © 2019 Professional Quality Roofing. All Rights Reserved.